An article in the Poughkeepsie Journal, the local newspaper in Poughkeepsie, NY, discussed a few small-scale projects happening around the city including a temporary transformation of Market Street. 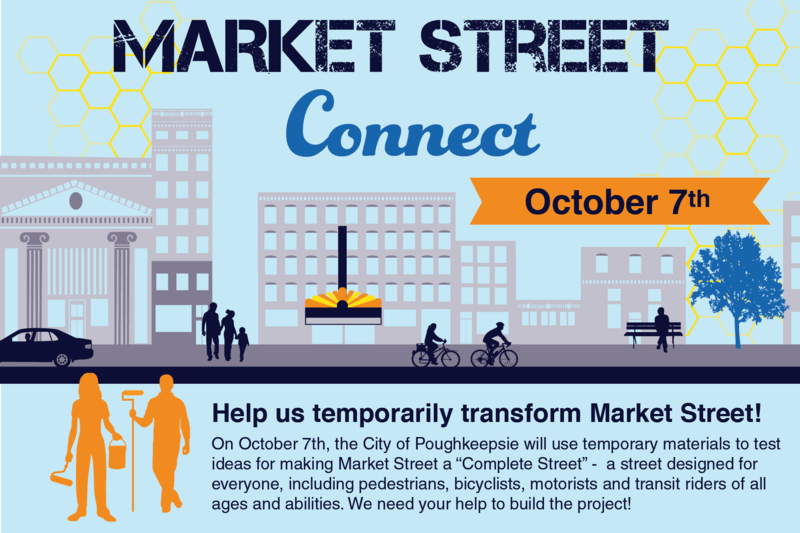 Using temporary materials, the City of Poughkeepsie will partner with Street Plans the weekend of October 7th to test out ideas for making Market Street better for everyone including pedestrians, bicyclists, motorists, and transit users. A recent NPR article highlights Burlington, Vermont’s Tactical Urbanism Policy & Guide, developed by Street Plans with Local Motion and the City of Burlington Public Works Department. The policy and guide provides a platform for the community to create their own Tactical Urbanism projects, expediting the project delivery process and allowing residents to take back ownership of their streets. Projects could include anything from curb extensions and crosswalks to wayfinding signage or parklets. 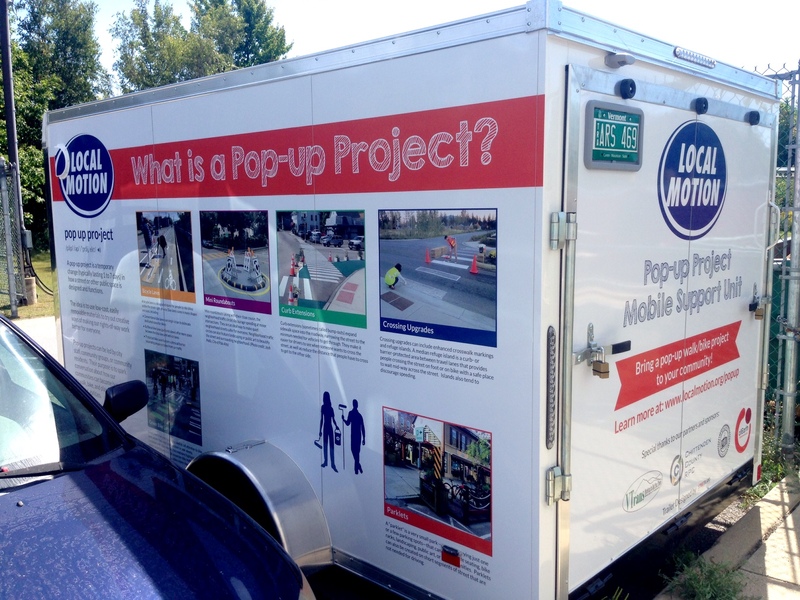 Designed by Street Plans, Local Motion now has a pop-up supply trailer to supplement the Tactical Urbanism Policy & Guide and help bring materials and support for citizen-led demonstration projects all across Vermont! 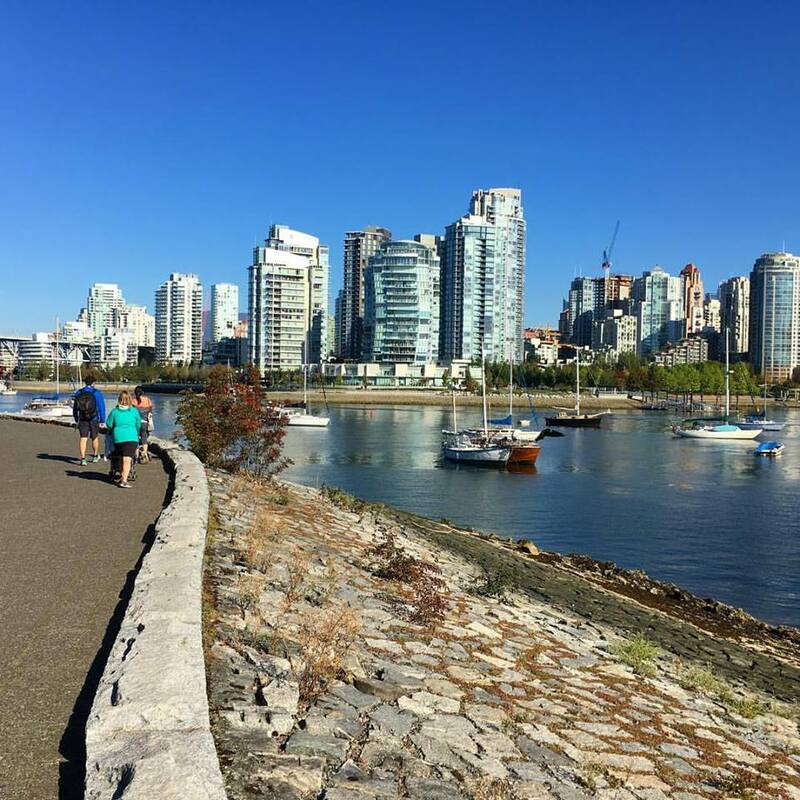 Street Plans delivered two talks in Vancouver the week of September 12th for the Pro Walk/Pro Bike/Pro Place Conference, the premiere conference in North America for walking and bicycling professionals. Together with the San Francisco Planning Department, Street Plans presented the recently published Public Space Stewardship Guide -a new print and online resource with case studies and ready-to-use tools for funding, programming, and maintaining emerging public spaces. Our second presentation focused on our forthcoming Tactical Urbanist’s Guide to Materials & Design. The Guide will focus on sharing best-practices around materials and design for rapid implementation of common tactical urbanism projects, including street-safety enhancement projects such as high-visibility crosswalks, curb extensions, refuge islands, protected bike lanes, plazas, and traffic circles. Thank you to everyone who joined us at these two sessions!